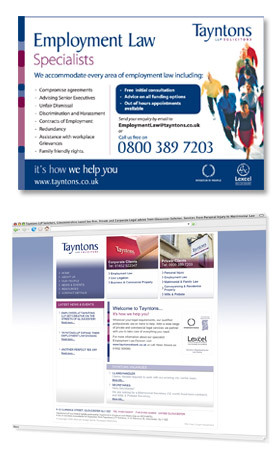 Tayntons LLP Solicitors were well established as one of Gloucestershire’s leading firms of solicitors, with an enviable heritage and a clear commitment to personal service and quality in both their private and commercial customer relationships. However, their brand positioning and identity did not reflect these differentiators and this had affected their market share. Our starting point was to review the existing brand and proposition together with an assessment of the market. 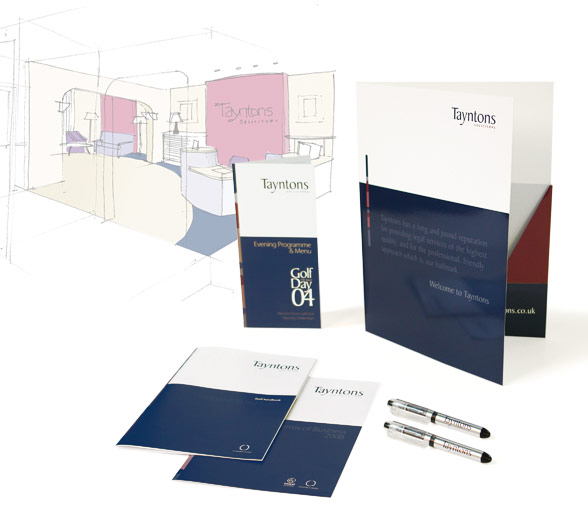 This then enabled us to develop a brand repositioning strategy to take Tayntons to a wider audience. In line with the new direction, our in-house team designed and delivered the full range of supporting collateral including brand identity, interior design, corporate literature, website development, advertising (including outdoor bus advertising executions), internal staff incentives and promotions and event management. In every project, the integrity of the brand has been maintained and Tayntons now have a brand with undisputed strength in a highly competitive marketplace, growing market share and achieving a significant ROI.